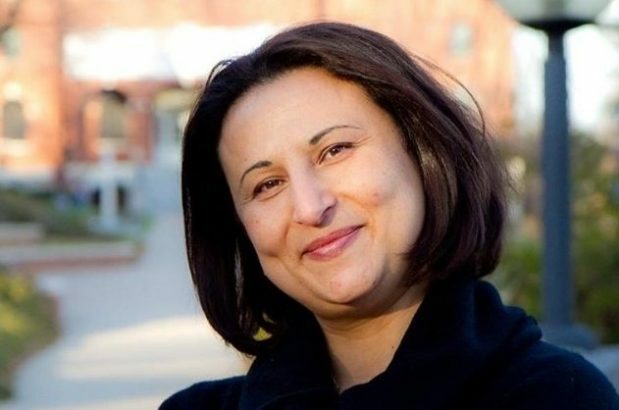 Huda Abu Arqoub is Director of the Alliance for Middle East Peace (ALLMEP), a network of civil society organisations working in conflict transformation, development, and coexistence in the Middle East among Israelis, Palestinians, Arabs, and Jews. 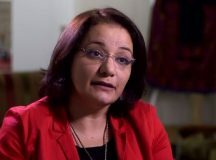 A Palestinian, she is also a leading supporter of Women Wage Peace (WWP). Fathom assistant editor Sam Nurding spoke to her about the challenges faced by a Palestinian feminist engaged in conflict-resolution activism. Sam Nurding: I read that your family defended Jews in the riots in Hebron in 1929 and that when as a young woman you wanted to join the First Intifada in Hebron your Communist-leaning mother told you to read Tolstoy instead. In what ways did your grandparents and parents shape your approach to political activism? Huda Abu Arqoub: My maternal grandfather was a graduate of Oxford in the 1930s and his father was a leading figure in the Hebron community during the 1929 massacre. He was one of many Palestinians who took in Palestinian Jewish residents of Hebron and protected them. That story has not been properly documented, perhaps because it challenges the simplistic narrative of Palestinians and Israelis fighting for 3,000 years. I’ve felt throughout my life that is it important to challenge these false narratives and to try and change the way we look at the ‘Other’. I grew up in a household of educators, doctors, professionals; people who had a wider view of the world. They had access to education under the British and Jordanians, an education I lacked due to the Israeli occupation, by the way. My childhood shaped my worldview. Tolstoy’s Anna Karenina and War and Peace were just two of the books we read, as well as Shakespeare, Hemingway, T.S. Eliot, Rudyard Kipling, and Jane Austen. My mother was a communist and a feminist, and a teacher of English and so much of what we read was coming from her world. We had a huge library of books, music and all kinds of poetry. I refuse to be either an enemy or a victim. The helplessness that comes from feeling yourself to be a victim is paralysing but it was not in the nature of the women I grew up with; they were always fighting, adapting and progressing. I’ve always tried not to think that there are people out there who want to kill me. After the 1982 massacre in Lebanon, that feeling came closer to home. And that’s why I was very resilient during the first intifada, because I felt the adults hadn’t done enough to change our future. I felt it was now up to us, the youth, to be responsible for that. SN: Reading an article at Women Wage Peace I came across this intriguing reference to ‘the politics of acquaintance’: ‘Huda has embarked on a journey of meetings and forged connections with Israeli women with the goal of creating another language, the Politics of Acquaintance.’ The article went on: ‘The goal is to take leave of the slogans that bog us down again and again, and create a language based on sincere curiosity that strives to reveal what we share and what is possible … Huda says that the politics of acquaintance particularly serves women’. What is the ‘politics of acquaintance’? Who have you been meeting and what has been discussed? I said a new women’s movement for Israel must innovate in two ways. Most anti-war movements inside Israel are branded as ‘Leftist’ and that closes them off to many people. So, first, it should be a feminist-inclusive movement, meaning it has to talk to all of Israeli society, including people who are supportive of a war and have an occupation mentality. Second, it has to challenge the idea that ‘we don’t have a partner on the Palestinian side’ because once that myth is accepted, those who campaign for peace can be considered ‘traitors’ and ‘peace’ itself can be turned into a dirty word. It is important to change the language that we use as women if we want to be inclusive. To many Israelis the word ‘occupation’ compromises Israeli security, or represents the Left. So instead of using the phrase ‘ending the occupation,’ we decided to use the phrase ‘ending the conflict’ – the occupation is part of the conflict but there are other things that need to be addressed to end the conflict once and for all. I offered to speak with the Israeli hardliners, bringing the Palestinian narrative to them, under the auspices of WWP. I live in Palestine and I cannot tell you how many times I heard from those Israelis that I was the first Palestinian they had spoken to. Another challenge was the settler community that lives inside the West Bank. Nobody from the Palestinian side (or majority of the Israelis for that matter) had talked to them. They were seen as one of the main obstacles to the two-state solution, and ignored. For their part, the settlers refused to speak to the Palestinian ‘enemy’ simply because they do not see them or acknowledge their legitimate right to exist on this land. For WWP to speak to the settlers they had to recruit women settlers in order to be guided around the settlements. Then they were able to talk about peace and to reclaim a sense a hope, getting out of that closed mentality that can keep people fearful. 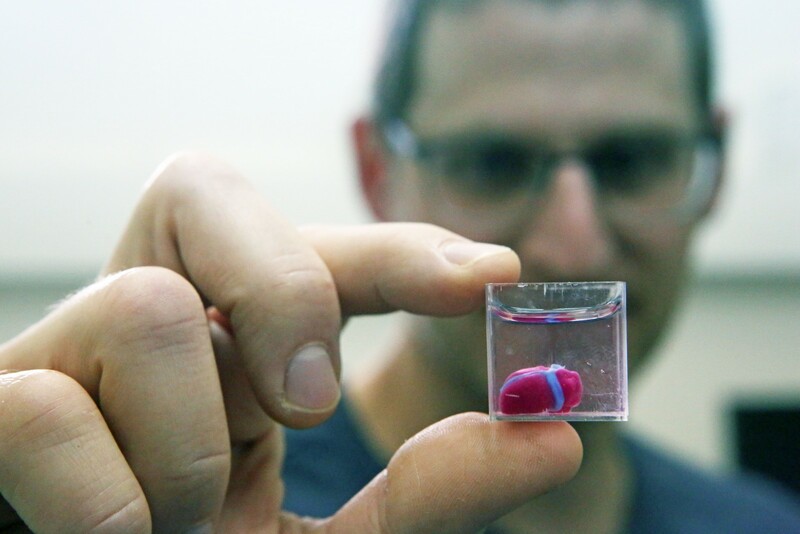 It was a form of liberation, I think, and the internal dialogue work done through WWP has given Israelis a chance to rethink their narratives of fear and enabled many to heal from their collective trauma. In my opinion this has been the greatest asset of WWP, and it reinforces my conviction that we need an inclusive feminist-activist movement. SN: How difficult is to reach women in Gaza and involve them in action for peace? What is possible, nonetheless? HAA: It would be irresponsible for me as a peace activist to reach out to women in Gaza at this point. I would only be compromising their safety. It is not easy to be involved in any kind of relationship with people who are perceived to be your ‘enemy’. As a peace activist and resident of the West Bank (I also carry a Palestinian passport) I still have my own challenges, but they are not as life-threatening as they would be if I were in Gaza. I have friends there and they want to be engaged, but Gaza is under siege, both occupied and controlled by a regime that fails to respect freedom of opinion and freedom of speech. Gazans are hostages of the power dynamic and conflict between Fatah, Hamas and Israel. In my opinion, Gazans are much more willing to enter peace talks and to get to know Israelis than West Bankers, but it’s a matter of responsibility toward them; who would protect the women once they have participated in dialogue? SN: What impact has WWP had? What should be its next steps? HAA: There are two contexts to look at when we speak of impact. The first is the Israeli context. These women have changed the discourse about war and peace, and about women’s involvement in peacebuilding. 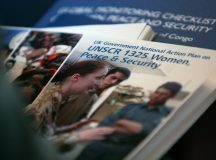 When it comes to rallying huge numbers, they’ve also been much more successful than any other organisation I’ve worked with or studied, and this is because they have not used language that shuts out any groups, and because they are talking a new language that is inclusive, empathetic and addressing the real needs of women for security. I also helped WWP to take the language of ‘political positions’ and turn it into the language of needs, a language with meaning to people who are struggling to live and to raise their children in a better environment. By talking of human needs and using narrative theory, we redefined ‘security’ from their perspective. All of this was within the framework of the UN Resolution 1325. (See the discussion of UN 1325 by Sarai Aharoni in this issue). Because WWP reached out to the ultra-Orthodox community, the Russian-speaking community, and the Ethiopian community, they brought authenticity to their work and created space for many different people within the movement. For the Palestinians, WWP represents a serious effort to end this conflict because they are not talking in a bubble; they are doing work with all the stakeholders of this conflict. And that’s why in two years WWP has managed to have more Palestinian women come to their events than any other organisation. In 2016 we had 1,000 Palestinian participate in Jericho and in 2017 we had 3,000. (They cannot go to Jerusalem without a permit). I have Palestinian women from different walks of life in Palestine telling me that they want join and be supportive. SN: On that point, it is often said by Israelis and Palestinians that ‘we have no partner for peace’. Famously, you told a WWP rally that ‘You have a partner!’ Can you understand why many Israelis and Palestinians are sceptical? Scepticism plays into the hands of those maximalists who oppose peace, on both sides, so what can overcome it? HAA: I totally understand. The problem is partly psychological. The barriers built by different social, political and education systems create a monstrous image of the ‘other’ – the ‘other’ is always out to finish you. There was no space for a real peace and reconciliation process even after Oslo. Still, we must remember that after Oslo, when the Israeli army was leaving Bethlehem (I was there during that time), the soldiers who were shooting at us a few days before, were sent off by us with flowers. The Palestinians compromised, stood behind our leadership and declared for the two-state solution and the peace process. But what was the global reaction? I’m not going to name and shame, but I think the international world has always been on the side of the Israelis. It has never given credit to the Palestinian people who have already made the ultimate compromises in the conflict. Instead, we keep getting hit on the head and threatened, leaving us with a sense of despair. We took WWP to meet Abu Mazen (Mahmoud Abbas) in the Muqata’a (Palestinian Authority headquarters in Ramallah) in 2016 on his invitation. I wish there had been international press present to hear him say he was willing to go anywhere in the world and start talking about peace with Israeli Prime Minister Benjamin Netanyahu, as long as there are no preconditions. He is willing to support women to participate in peace talks and he said as much; if not for him, we wouldn’t have had that many women showing up in Hebron. We struggle to convince our youth that talking with the Israelis is worthwhile, after 20 years of negotiation that had got us nowhere, politically speaking. We have not moved nearer to recognition, while one action by Hamas, kidnapping one soldier gave us 500 freed prisoners (although many were rearrested later). The average age in the West Bank is 20 and in Gaza, 16. The Oslo Process means little to them. Palestinians today don’t think we have a partner. Israeli society has been completely shut down to us by the wall, the checkpoints, and by the law that doesn’t allow Israelis to enter Palestinian areas in the West Bank. I want people to know that there are thousands of partners, Israelis and Palestinians, who are willing to make compromises in order to live in a better place. It’s time for a step change in the support from the international community to those Israelis and Palestinians. SN: Fathom recently produced a major report on peacebuilding written by Ned Lazarus. One of the questions Ned addressed was ‘does peacebuilding work?’ Another was ‘how can small but effective peacebuilding projects be scaled up nationally to have even more impact?’ How would you answer those two questions? HAA: Being an inclusive feminist, I believe peacebuilding can work, but it is not working at the moment. There is no success to be had when the system in place around you prevents you from succeeding. As Israelis and Palestinians we sometimes have to go through life or death decisions just to meet each other. That Palestinians need a permit in order to meet an Israeli changes the power dynamic. Yes, peacebuilding works and it has worked in many other places around the world, but it has always been accompanied by other kinds of movements that are active on the political, social and international levels, even using civil disobedience and non-violent tactics to resist oppression. The Israeli-Palestinian conflict is frozen: the so-called ‘status quo’. The difference is that the peacebuilding effort is helping people to see that war and violence is not working and it is giving each people a chance to understand and in many case acknowledge the other’s narrative. These efforts are coming from people who are legitimate within the Palestinian camp: ex-prisoners, people who have lost their kids and loved ones. This effort has been neglected for a long time; no attention is given and no resources are allocated. For example, just imagine if we had 50 or 100 schools like the six ‘Hand In Hand’ schools we do have. [ii] We know that the Hand in Hand network has a big waiting list. People are knocking their door down to put their kids, both Palestinian and Israeli, in their schools. But there is no money to build another school. It is the same with the Parents Circle / Bereaved Families Forum, which has the goal of building a new narrative with and for people who have lost their loved ones in the conflict. These Israeli and Palestinian activists are engaged in self-liberation and building their power together to prevent another war. But they need support! If the international community would give them the resources to reach more people, then we will be able to get the attention and the support to change the course of this conflict, like in South Africa in the 1980s, when the system changed completely. SN: Alongside Joel Braunold, also of ALLMEP, you wrote the following in Ha’aretz: ‘For those who are interested in advancing the cause of peace by building the necessary trust between Jewish Israelis and Palestinians, the [Boycott, Divestment and Sanctions] BDS movement is not the greatest threat; the anti-normalisation movement is.’ What is ‘anti-normalisation’ and why as Palestinian do you think it is a threat to peacebuilding? HAA: ‘Anti-normalisation’ is an offshoot of the BDS movement but it is focused on people who are in dialogue with Israelis. Their argument is that, by being in a dialogue, we are ignoring the power dynamics between Israelis and Palestinians by assuming that people are meeting on equal ground. They also say that dialogue is an attempt to beautify the occupation and move the guilt away from the many Israelis who feel bad about the situation. First, the anti-normalisers have not been successful in stopping Israelis and Palestinians from meeting. Second, the Israeli government uses them to say ‘Look, the Palestinians have no interest in peace’ (which is completely untrue). Third, it makes no difference to the occupation itself. Fourth, many people in Palestine are fed up with bullies who tell us what to say or how to act. Morally speaking, I do have an issue with anti-normalisation campaigners, especially when they go after young women on campuses. They operate from two assumptions: that women have no agency or control over their identity and therefore they will easily buy into the ‘other’ narrative and never challenge it i.e. 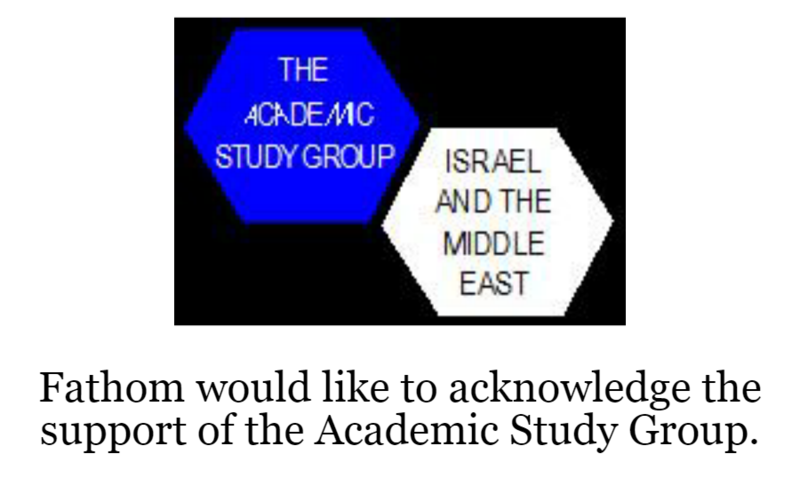 become affiliated with the Israeli narrative. Again, that is a total misconception and evidence of their low appreciation of Palestinian women. Their second assumption is that women have no power and are vulnerable, so they are easier to intimidate. In short, ‘anti-normalisation’ campaigners are just another actor that uses bullying and false assumptions about Palestinians in general and women in particular and have not managed to offer any solutions to the many difficult challenges there are to their theory of change. SN: In the Ha’aretz article you and Joel identified another danger to peacebuilding and the politics of acquaintance: ‘We fear that legislation in the Israeli government could shut down discourse on a people-to-people level by weakening NGOs.’ Is your fear being realised? I guess the government would claim to be acting only against those who demonise Israel – how would you respond to that argument? HAA: Whenever the government goes after NGOs it makes them stronger in the public arena. Yes, it limits their funding because they have to jump through certain hoops, and if they are connected to BDS groups or other foreign entities that ‘threaten Israeli security’ – which are the conversation-stopper words, by the way – then their funding may be stopped. This is what happened to Breaking the Silence (BtS), but it didn’t stop them. Just two days ago I spoke to a group hosted by BtS, and I found that the pressure had only given BtS a lot of attention. I suspect that Israel is not going to stop. The latest move is the new BDS blacklist. From a Palestinian point of view, these measures prove what we’ve been saying for ages, that Israeli government is not really practicing democracy; or, we can say at least, that in the past 11 years Israel has been moving in a non-democratic direction. [i] Nouhad Wadie’ Haddad, known as Fairuz, is a Lebanese singer who is one of the most widely admired singers in the Arab world. Her songs are constantly heard throughout the region. [ii] Hand in Hand: Center for Jewish-Arab Education in Israel runs a network of six integrated, bilingual schools for Jewish and Arab children, and seeks to expand.